Are you spending heavily on your homeowners insurance and auto insurance? Surely, yes. Thankfully, there are ways and means to save money on home and auto insurance. With some research, you can save considerably on these costs in 2019 aver financial experts. If you want to you know how much money from your hard earned income is spent on home and auto insurance every year, read on. These statistics will clearly indicate how homeowners and auto insurance is eating into your pockets. Americans pay an average 2.5 percent of their annual income towards homeowners insurance says National Association of Home Insurers Commissioners (NAIC). On average, an American homeowner spends about US$1,034 every year on home insurance, though the cost swings wildly between different states. In fact home insurance premiums are showing an increase between 3.3 percent and 3.5 percent since 2015-2016, says Insurance Information Institute. Also, average auto insurance costs rose by 5.3 since 2016, according to the National Association of Insurance Commissioners. The cost of insuring personal vehicle cost average US$1,232 in 2018, states ‘Your Driving Costs’ report compiled by American Automobile Association (AAA). Again, auto insurance costs differ according to state and the type of vehicle you own. Reports by III and AAA both prove, auto insurance costs are rising and the trend will continue. Given these scenarios, it is imperative to save on home and auto insurance costs in 2019. Yet, this need not be a big bother. You can try these six simple ways to save on home and auto insurance in 2019. Tips and tweaks we mention to save on home and auto insurance are fairly simple. And they are worth your effort. Over years, you would have built loyalty of sorts with existing insurers. That is excellent. But your loyalty does not result in lower insurance premiums or costs. At best, you may be entitled to some special offers for your long-term relationship with the insurer that come with loads of fine print and glib talk. In such scenarios, scanning the market for attractive and affordable schemes from other investors can help save on home and auto insurance in 2019. Companies look for opportunities to grab subscribers that wish to switch their insurers. With some effort, you will also find insurers that will readily offer you policies that cost lower but include the same features as previous ones. Usually insurers maintain records about customers that pay premiums on time and do not miss out on any. If you have a record of timely premium installments and have not made any claims, insurers offer a discount to ensure continuing loyalty. Also, when you pay timely, insurers get the money in advance to meet their commitments. Hence, they will offer you a discount. Again, an insurer may not offer you discounts on policies up-front while renewing: you may need to ask for them. Keep your records of timely payments handy and prove you have made no claims over the years. This should generally be sufficient to goad any insurer to offer you some discount on home and auto insurance. A deductible is money you need to pay to an automobile owner in case of an accident where you are at fault. It is to be paid before the insurance cover comes into play. Most auto owners in the US peg their deductible around US$500. Hence, insurers increase their premiums. Should you be a safe driver and have negligible or zero accident record, opt for a higher deductible such as US$1,000 or more. This means, you will have to pay the money only if you are involved in an accident due to your fault. The higher the deductible, lower the insurance cost. However, raising your deductible is only suitable if you are a very safe motorist. Else, it can prove disastrous to your finances. If you are sharing the vehicle with spouse or children, make sure they drive very safely to ensure there are no auto insurance claims. Several insurers nowadays offer bundles of insurance. This means, you can get a home, auto, health and other coverage in a single plan. They create customized insurance plans to get maximum customers. Look for insurers that combine two or more insurance policies. Especially home and auto. This is one surest way to save on home and auto insurance in 2019. Bundling allows you to save on home and auto insurance. It means, you pay a flat, lower rate for your annual home and auto insurance as well as others you opt for. You can also ask the existing insurer to customize a bundle, if they offer the facility. Nowadays, lots of insurers offer bundling as it helps save handling and other costs. Insurance premiums are on the rise. While your existing insurer would not have given you any cause for complain, premiums you pay on auto and home insurance could have risen over the years. The increase will not be steep every year: it would be gradual and have built up through some time. In such cases, you should assess your existing policies. Compare with similar plans available from other insurers in your area. Most likely, you will find insurers that have same or even better coverage for lower prices. If you find such insurers, go ahead and dump the old ones. In such scenario, two things can occur: your existing insurer will offer a lower rate helping you to save on auto and home insurance. Or you can switch to a new insurer altogether. Check with your credit unions in your locality about their home and auto insurance plans. A lot of credit unions have tie-ups with major insurers to offer group coverage to customers. 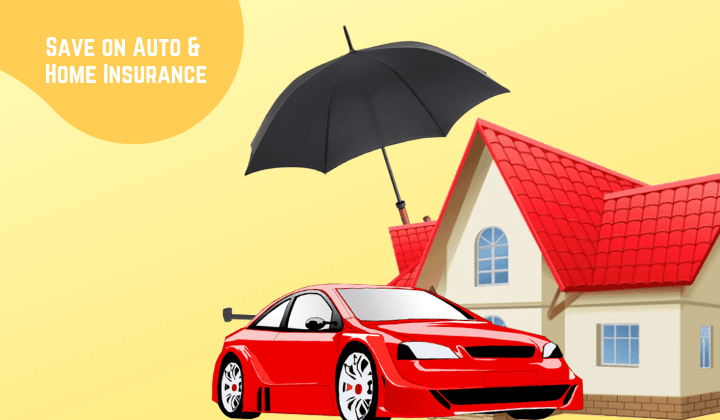 This means, your home and auto get coverage under a group cover, which costs much lesser. If you are employee of any firm and trade union member, you might be entitled to affiliation discounts for home and auto owners. Good driver discounts on auto insurance are available in some states. For those relocating or buying new home in 2019, look for first-time customer discounts available from insurers. Understandably, savings from home and auto insurance can work to quite a decent amount every year. You can try any of these methods to save on home and auto insurance in 2019. Generally, proper research online will help you buy cheaper home and auto insurance, as competition gets hot in the market this year. I started affiliate marketing in India when only few of the people in India have heard about this term. A successful digital marketer and blogger from Mumbai. Founder of DMatic Digital, a company that provide digital marketing training & services. I am interested in viewing your auto and home insurance rates. Are there Canadian options? Please E mail me with info. Hello my name is Anthony Bowers O’Neal I want to know more about Home & Auto Insurance can you please contact me @ (415) 424-0924 or please email me back at onealanthony @ yahoo.com thank you!!! What is an Escrow Account & its Types? How Does it Work? I am Pritam Nagrale, Founder of MoneyConnexion. I have been making money online since 2004. I started blogging in 2009 & made more than one million US dollar through blogging.